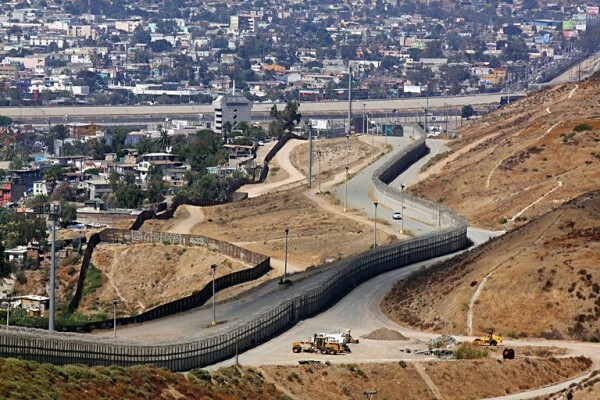 A view of the US-Mexico border in San Ysidro, California 2008. The immigration crisis of summer 2014 made national news once more in February of 2015 when a federal judge granted an injunction on behalf of Central American mothers and children which ordered a stoppage to the Obama administration’s policy of detaining women and children refugees as a method of deterrence. The Department of Homeland Security argued that, because such refugees entered the country illegally, such refugees “…have extremely limited, if any, due process rights” in determining their custody and removal. Stating unequivocally that “(T)he Government is mistaken”, the court’s opinion held that the detention-as-deterrence policy – which includes a mandate for 34,000 beds for immigrant detainees – was “likely unlawful” and caused “irreparable damage” to vulnerable populations who were being “…detained for the sake of sending a message of deterrence to other Central American individuals who may be considering immigration.”. As recent reports have confirmed, however, Central American refugees continue to be detained in order to create a spectacle for the furtherance of the official US immigration policy of “prevention through deterrence”. The production and maintenance of the spectacle of immigrant detentions in order to further US national security objectives has now produced an indisputably humanitarian crisis. In The Politics of Health in the Eighteenth Century, Michel Foucault traces the historical shift in medical perception towards the poor by which the poor became no longer the objects of a charitable, ecclesiastical concern for justice but instead an economic, political and medical liability of the nation-state. For Foucault this transition from an ecclesiastical model of care based on justice in the 17th century to our more familiar economic, security-centric model of care that emerged in the 18th century thus forms the politics within which our perceptions of the poor are circumscribed today. In The Birth of the Clinic, Foucault had observed that this peculiar economic-political analysis of the sick poor also extended to the relationship between the examiner and the examined where, in order to be cured, the sick patient must submit to being objectified, her suffering made a spectacle for the benefit of public health and the economic interests of the nation. This implicit contract between the doctor and patient created in the space of the clinic, Foucault observed, was a “tacit form of violence” foisted upon “…a sick body that demands to be comforted, not displayed.”  The modern medical gaze, for Foucault, was thus constituted from the moment that the sick poor were transformed into a useful asset and economic liability for the liberal state. In the context of US-Mexico Border Patrol, perceptions and policies towards immigrant refugees fleeing the poverty and violence of Mexico and Central America had, in the 1990s, for the most part resisted the transition Foucault marks between a more humanitarian and security-centric model of care. Indeed, throughout the 1990s, Border Patrol adopted what was referred to as a “Good Samaritan” policy towards the sick and injured, wherein agents were restricted from taking into custody subjects who were sick or injured, and were prevented from attempting to establish alienage (undocumented status) in cases where injury or illness was suspected. 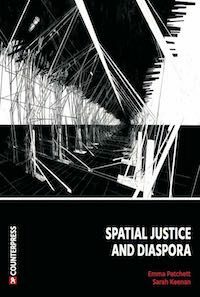 As political geographer Jill Williams has documented, pre-9/11 Border Patrol security policy and attitudes towards undocumented immigrants had, in general, respected the boundary between enforcement and the humanitarian concern for helping the sick and injured asylum seeker. Before 9/11, Williams notes, border patrol agents viewed sick or injured border crossers as ‘off-limits’, since the unofficial “hands-off” approach to migrant care adopted by the border security apparatus prevented agents from getting involved in the responsibility of delivering medical care to the undocumented border-crossers. Rather than attempting to establish an injured persons’ alienage – and thus begin the process of removal and repatriation – Border Patrol policy in the 1990s held that “(W)here an alien’s injured condition precludes our determination of alienage or deportability, or where an alien’s injured condition renders the alien unlikely to escape, we cannot and do not take custody at the scene.” Medical care, in the eyes of 1990s border security, was the responsibility of non-governmental humanitarian and church-based organizations. In short, the sick or injured 1990s border-crosser remained for the Border Patrol off-limits to the security apparatus of the state. In 1997, the State of California conducted a comprehensive audit of the San Diego Health Care system for medical costs incurred for suspected undocumented immigrants treated in its care. The state audit focused specifically on role of the Border Patrol’s “Good Samaritan” policy which, according to the report, allowed Border Patrol to “avoid responsibility” for providing medical care for injured border-crossers. The report documented how the “Good Samaritan” policy of prioritizing migrant care over national security cost the State millions of dollars in “unreimbursed” medical costs, and concluded that the humanitarian policy was in reality just a way to “avoid financial responsibility” for paying for medical costs. In addition, within the zero-sum economic logic of late 1990s state auditors, injured immigrants were reconceived as opportunists who exploited their own suffering to avoid being detained. The report alleged, “(T)o the extent that these injured patients are unauthorized immigrants, their injuries may have assisted them to avoid Border Patrol custody.” From the point of view of State budgetary concerns, injured immigrants began to be viewed no longer primarily as objects of humanitarian concern but rather as opportunists who are more likely to exploit or indeed feign their own injuries in order to gain the system. Along with the increasing security concerns stemming from the war on drugs in the 1980s, border-crossers were reconceived as criminals and, increasingly, potential terrorists. Throughout the 1990s, a host of legislative and executive acts reinforced a more punitive immigration era: the Violent Crime Control and Law Enforcement Act of 1994, “Operation Hold the Line”, “Operation Rio Grande, “Operation Gatekeeper”, and “Operation Safeguard”. These measures, which led to the 2004 National Border Patrol Strategy, gained traction through the revival of the immigrant as potential threat. Along with the shifting policies and attitudes towards a more punitive view of border crossers – reinforced by the xenophobic aftereffects of 9/11 – there has also been a shift in the role of the military and defense industry in delivering and managing migrant care, transportation and detention. As Williams notes, prior to 9/11, if a border patrol agent suspected a border crosser was sick or injured, this consideration generally took precedent over the interests of national security and immigration policy, even though agents were instructed not to intervene. As Williams and others have documented, the Department of Homeland Security has largely incorporated the responsibility of migrant care into the bureaucratic, institutional structure of the removal and repatriation process. That is, instead of allowing undocumented migrants to receive medical care from non-state agencies and possibly slip through the state’s security net, post-9/11 policies require that “…the act of establishing alienage [makes] the Border Patrol, when the individual was undocumented, responsible for both their care (e.g., transportation to the hospital, financial costs associated with treatment) and their surveillance while being treated.” Within the post-9/11 Border Security regime, establishing alienage becomes the first step in the process of care, detention and “aggressive” removal and repatriation central to DHS policy first announced by DHS Secretary Jeh Johnson in July 2014. 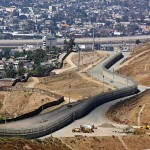 While the incorporation of care into the Border Security regime is relatively new, the post-9/11 security-centric approach to the issue should also be understood as an extension of the long-standing US policy of “prevention through deterrence” adopted by the US government since the 1990s under the Clinton administration. While this early period of “prevention through deterrence” was understood as a policy of “death as deterrence”, the Obama administration’s policy of long-term detention of immigrants as prevention extends the idea of using punitive measures to achieve US national security interests, reimagining spaces like military bases and private prisons as the new spaces for actively taking control of bodies and populations for strategic purposes. Rather than simply using the risk of death or injury as deterrence, the Obama administration began harnessing actual bodies and populations to send a real-time policy message. This stands as a significant transformation of US deterrence policy of the 1990s, which consisted in deterring potential migrants through “…the purposeful displacement and diversion of migrants into more treacherous and dangerous zones…such as deserts, rivers, canals, and rugged terrain”. 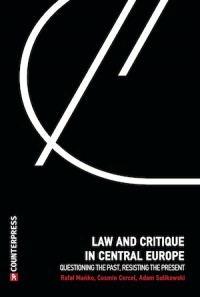 In this regard, Williams characterizes the Border Security regime since the 1990s as explicitly ‘necropolitical’, since it actively harnesses death and the possibility of death as a strategic national security weapon to control the movement and actions of bodies and entire vulnerable populations. The Obama administration, however, has gone a step further and harnessed not just the potential of death as a spectacle, but has utilized the actual detention of vulnerable populations as a spectacle. In this way, the Obama administration has transformed the policy of death-as-deterrence into a policy of detention-as-deterrence, utilizing the actual incarceration of bodies and populations for national policy objectives. In short, the potentiality of death as spectacle has been transformed into the actual harnessing of populations as spectacle. While the United Nations has acknowledged the link between the US-Mexico immigration crisis and the persistent violence of Central American nations, neither the UN nor the DHS has acknowledged the role of US foreign policy in producing the current crisis. In this way, the US government has been able to keep the issue of the US border “humanitarian crisis” separate from US domestic and foreign policy. In turn, the Department of Homeland Security is able to claim that its “aggressive” strategy of removal and repatriation stems from a moral, humanitarian concern for vulnerable migrants whose painful journey to the US will only exacerbate their suffering. In this way, the government’s crackdown on human trafficking of Central American refugees through Mexico can be presented as a moral mission, without acknowledging the economic and military causes of systemic violence stemming from US foreign policy. As Foucault observed of the modern medical gaze, there exists in US perceptions of border-crossers the persistent dual impulses of care and surveillance. As Williams notes, the dual impulses of humanitarian care and aggressive, militarized deterrence should not be seen as contradictory, but rather as complementary impulses of a society of security. 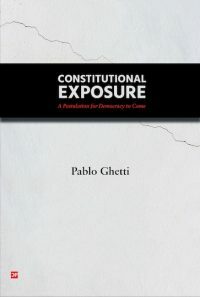 Indeed, as some political sociologists have noted, “…the United States has a record of granting asylum mainly to groups that serve its national security interests.” The implicit relation between humanitarian care and militarization along the US-Mexico border is most evident precisely where the encounters between “the examiner” and “the examined” immigrant increasingly take place: Border Patrols, detention centers, military bases and securitized hospitals. However, unlike the modern medical gaze, the military-medical gaze that follows border-crossers from the gaze of patrol agents order to the Detention Center does not seek to cure patients. 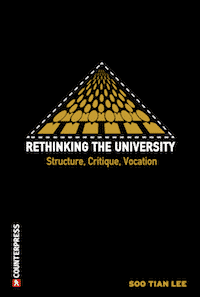 As Williams points out, undocumented migrants are detained, examined, and screened with the minimal amount of care to maintain bare life, with the maximum amount of scrutiny into their alienage, removability and prospect for repatriation. The goal is thus not to restore to full health, nor to ‘foster life’ and see it flourish, as so many reports on the conditions of these facilities have documented. The post-9/11 military-medical gaze encountered from the Border to Detention Center is therefore not biopolitical in the productive sense. 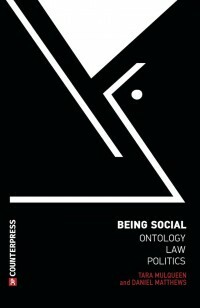 It is however, as Williams notes, biopolitical in the negative sense – that is, it is necropolitical. In the summer of 2014, the Department of Defense began leasing US military bases to DHS for the detention and temporary care of migrants detained at the US-Mexico border, including Fort Sill military base in Oklahoma, Lackland Air Force Base in San Antonio, Texas, and Naval Base Ventura County in Southern California. I read this article and found it very interesting, thought it might be something for you. 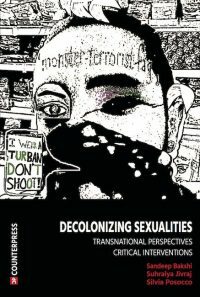 The article is called The Militarization of Care: the Military-Medical Gaze and the US-Mexico Border and is located at http://criticallegalthinking.com/2015/05/20/the-militarization-of-care-the-military-medical-gaze-and-the-us-mexico-border/.